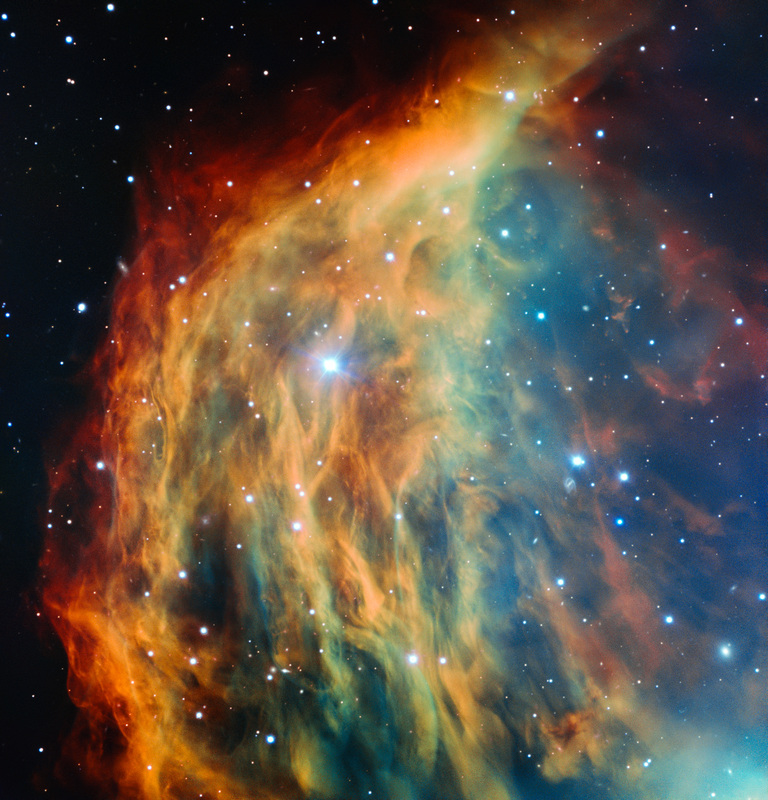 Explanation: Braided, serpentine filaments of glowing gas suggest this nebula's popular name, The Medusa Nebula. Also known as Abell 21, this Medusa is an old planetary nebula some 1,500 light-years away along the southern border of the constellation Gemini. Like its mythological namesake, the nebula is associated with a dramatic transformation. The planetary nebula phase represents a final stage in the evolution of low mass stars like the sun, as they transform themselves from red giants to hot white dwarf stars and in the process shrug off their outer layers. Ultraviolet radiation from the hot star powers the nebular glow. An unrelated, bright, foreground star is near centre in this close-up, telescopic view, while the Medusa's transforming central star is actually the dimmer star below centre and toward the right-hand part of the frame. The Medusa Nebula is estimated to be over 4 light-years across.